For the first time ever, true visibility and access for the lending community. JSSI’s Asset Monitoring Platform (AMP) was designed specifically for business aviation lenders as a tool to assist in the mitigation of risk and the management of financed aircraft. Through access to operating, payment, and maintenance data for their portfolios of financed aircraft, lenders can gain valuable insight into the financial risk exposure of their assets throughout the term of the loan. AMP uses actual flight activity to plot where an asset lies in its maintenance life cycle and calculates an asset’s estimated financial exposure for upcoming maintenance events. With access to this data, lenders can gain a better understanding of how an asset’s upcoming financial exposure will impact the overall loan, in addition to what an asset’s maintenance exposure will be upon asset return. AMP is a customizable web-based portal that provides lenders with the ability to build and compare asset portfolios; set flight, payment and maintenance activity alerts; and view specific asset activity reports. 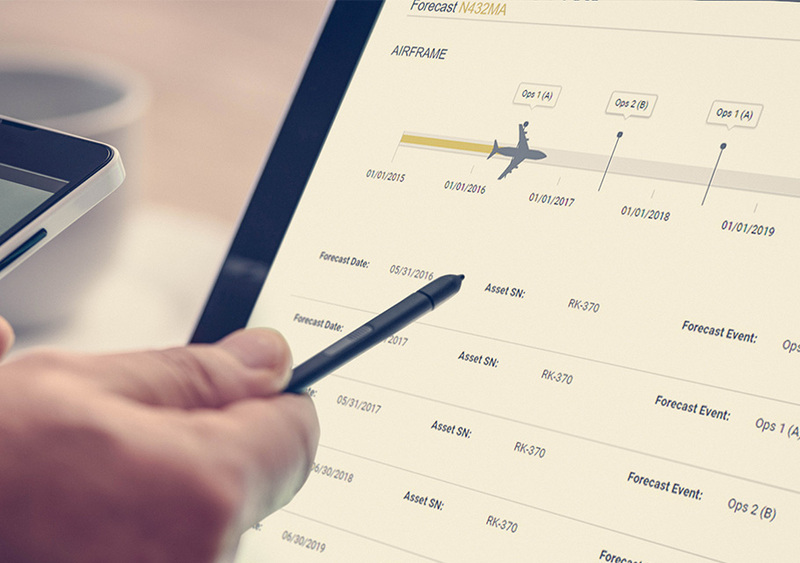 JSSI’s uniquely comprehensive maintenance programs, which cover all aspects of an aircraft from Tip-to-Tail®, means that we are in an unrivalled position to provide a single-source data-sharing platform to encompass any fleet combination that a lender might have. Our team is located throughout the world. We operate in regions strategically positioned to support customers based in over 70 countries. JSSI adds a layer of service for the lending community by extending our ability to physically assess asset condition and verify maintenance activity. Services include aircraft valuations, tracking of non-JSSI covered aircraft, annual asset inspections, logbook reviews and much more. If you are a financial institution, contact us today to learn more about these cost-effective and value-enhancing services.